Home HOME FOR SALE IN PALM HILLS, EXCELLENT DEAL! HOME FOR SALE IN PALM HILLS, EXCELLENT DEAL! This a fantastic deal on the prestigious Palm Hills golf course! There are currently 2 large homes, side by side that could easily be joined to create one very large home. 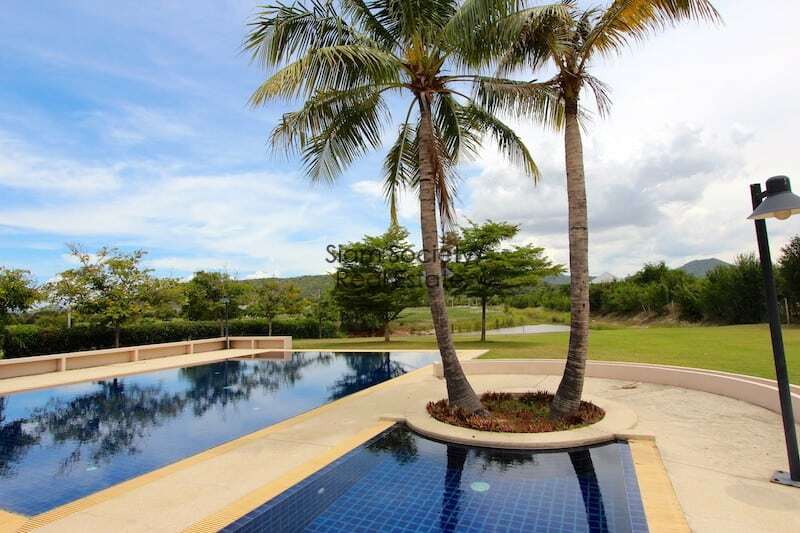 Alternatively, the homes could maintain their autonomy and be used as short or long term rental properties, especially for golfers (the homes can be sold together for a total price of 15.25 M THB or individually). The homes are similar in style, both very modern in design with high ceilings in the living room for an expansive, impressive feel. The homes are finished with hard wood flooring in the bedrooms with exposed concrete beams throughout for an industrial yet cozy ambience. 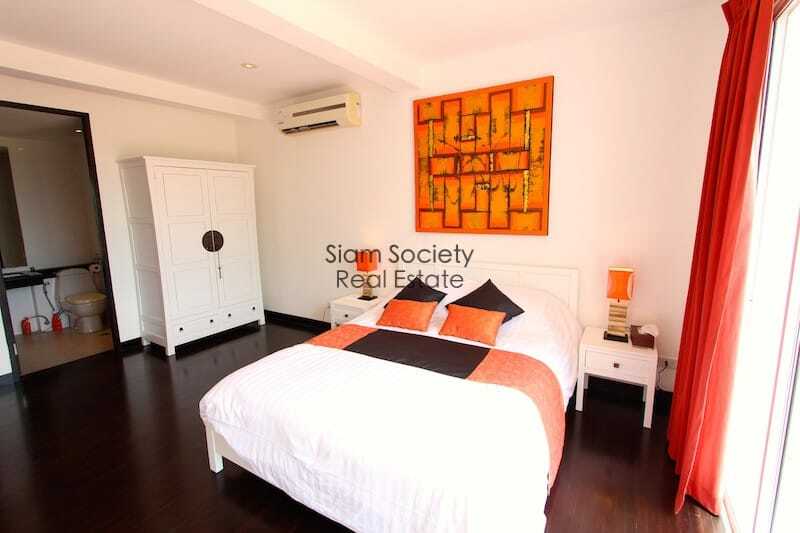 The larger home (can be sold individually at 9.65 M THB) has a very big master bedroom with huge walk in wardrobe and very large en suite bathroom with double sinks, bathtub and shower. 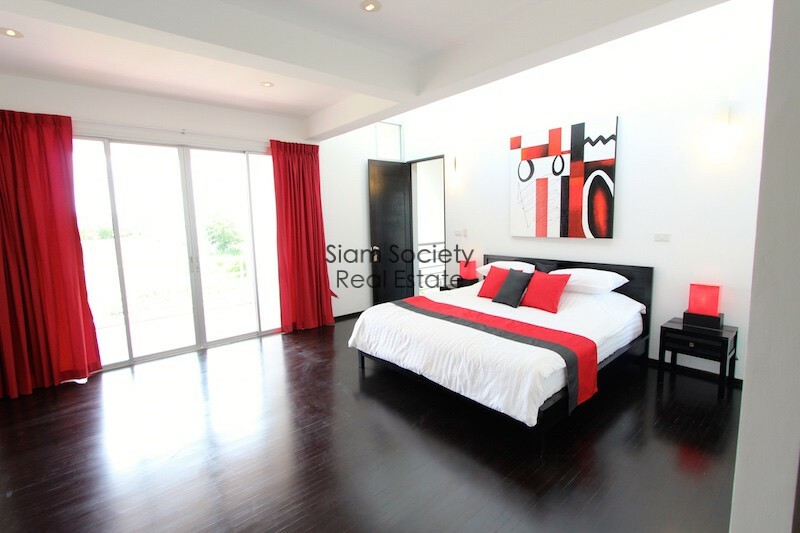 The master bedroom is upstairs, along with a large, open office area. 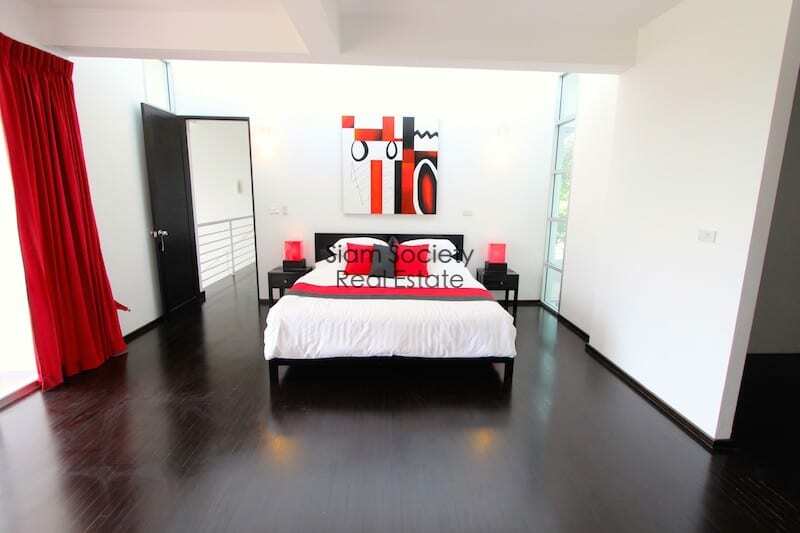 There are 2 additional guest bedrooms downstairs. 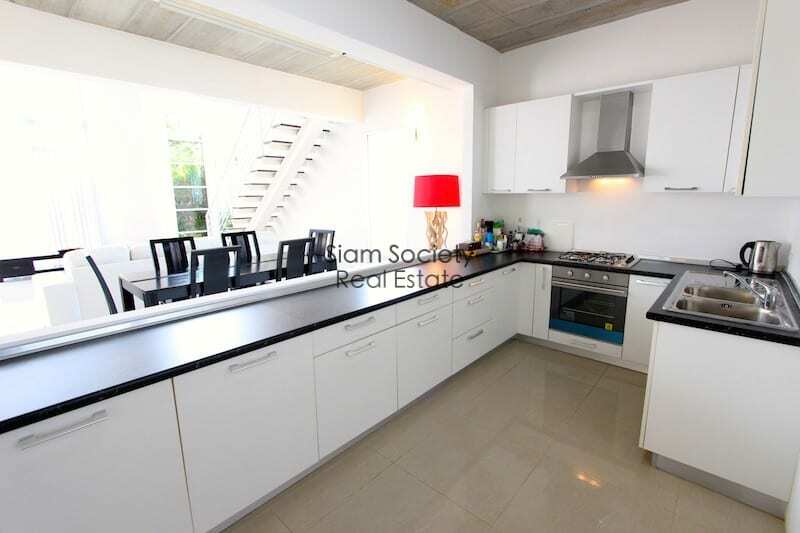 There is a modern kitchen with all necessary appliances included, and a nice long bar area for additional seating. 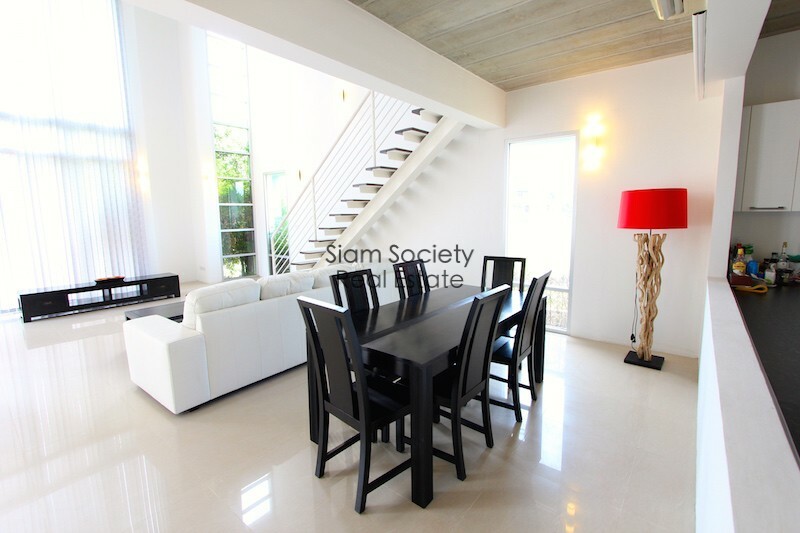 There is an open plan dining and living room area with very long windows for a lot of light. The larger house is fully furnished and is currently used as a holiday home and rental property. 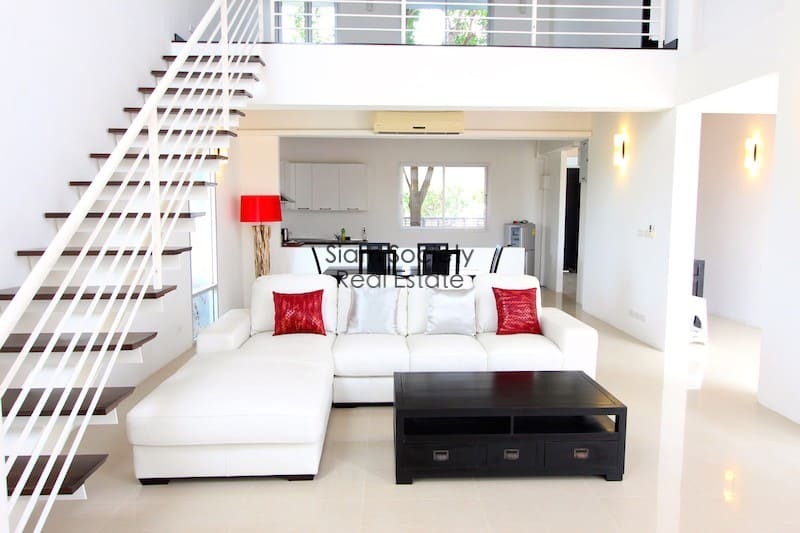 The second home (sold individually at 6.35 M THB) has some basic furniture, but is not fully furnished throughout. 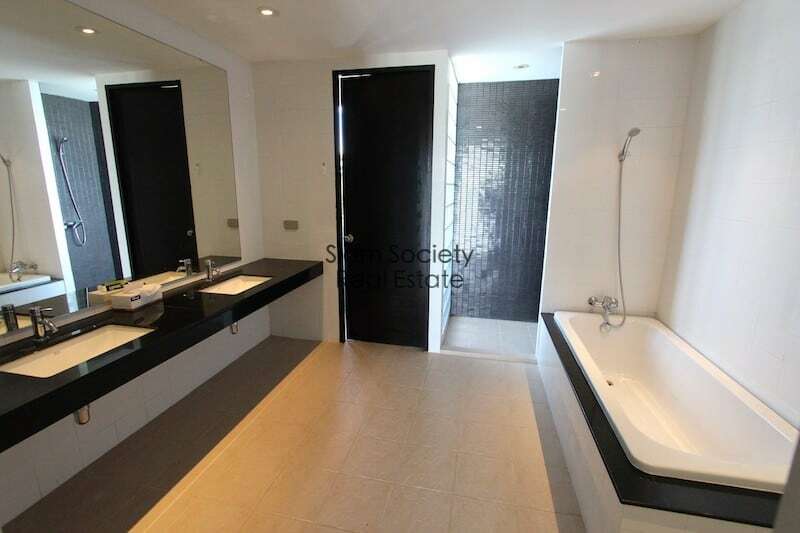 It has basically the same floor plan as the larger home, but is smaller. The kitchen area needs to be finished out, and the home needs a bit of maintenance to bring it back to its full potential. The homes each have small, private garden spaces with nice views of the lake directly in front. 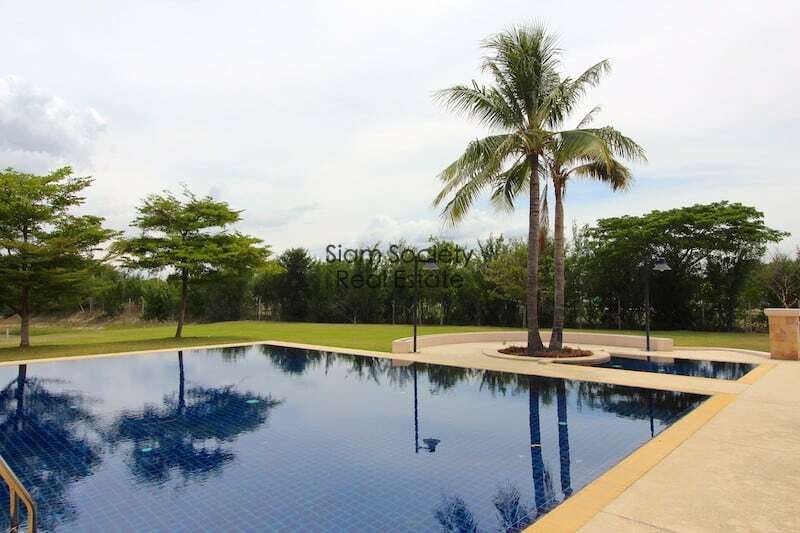 There is a communal swimming pool within approximately 100 meters, but no private pool on the premises. If the 2 homes and garden areas were combined, there would easily be enough room to add a large swimming pool. 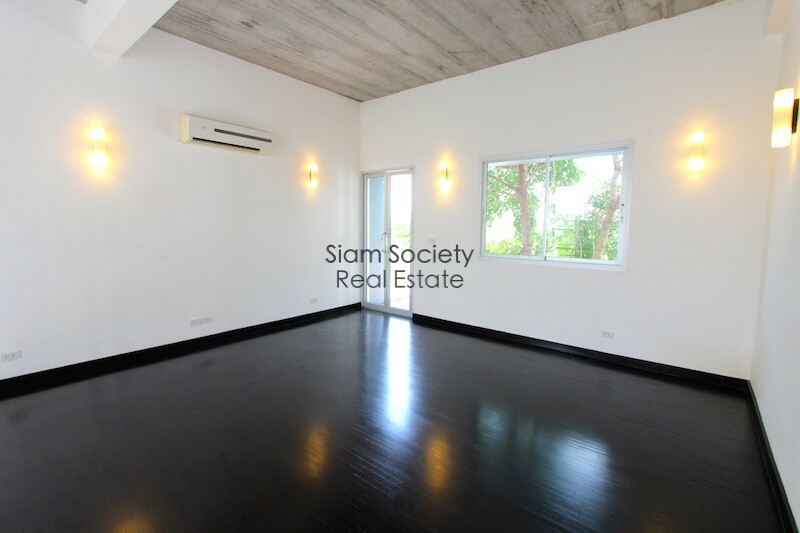 The two homes are for sale at 15.25 M THB together. 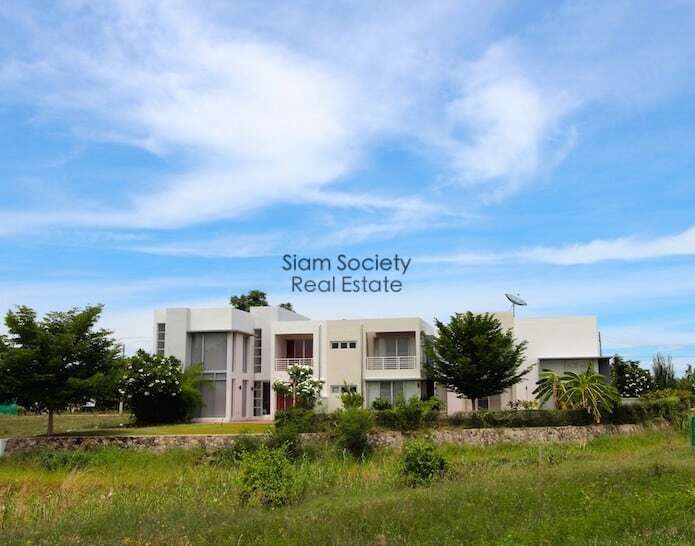 They can also be sold individually: the larger home is for sale at 9.65 M THB and the smaller home for sale at 6.35 M THB.